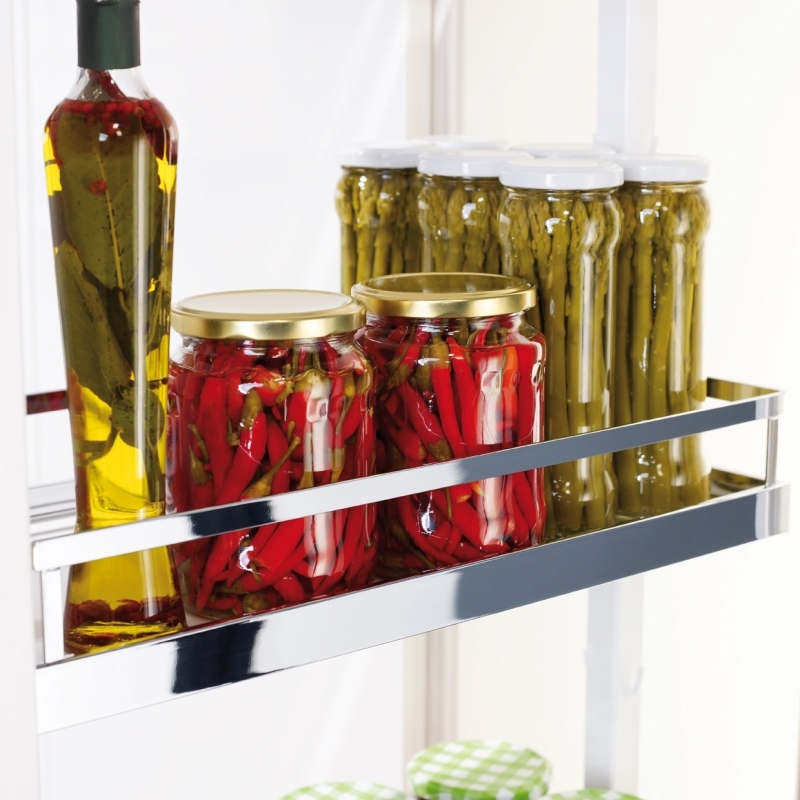 Each tray or basket can be individually hung at a height to suit the contents, making the DISPENSA Larder a flexible solution providing a lot of storage with a very small footprint. 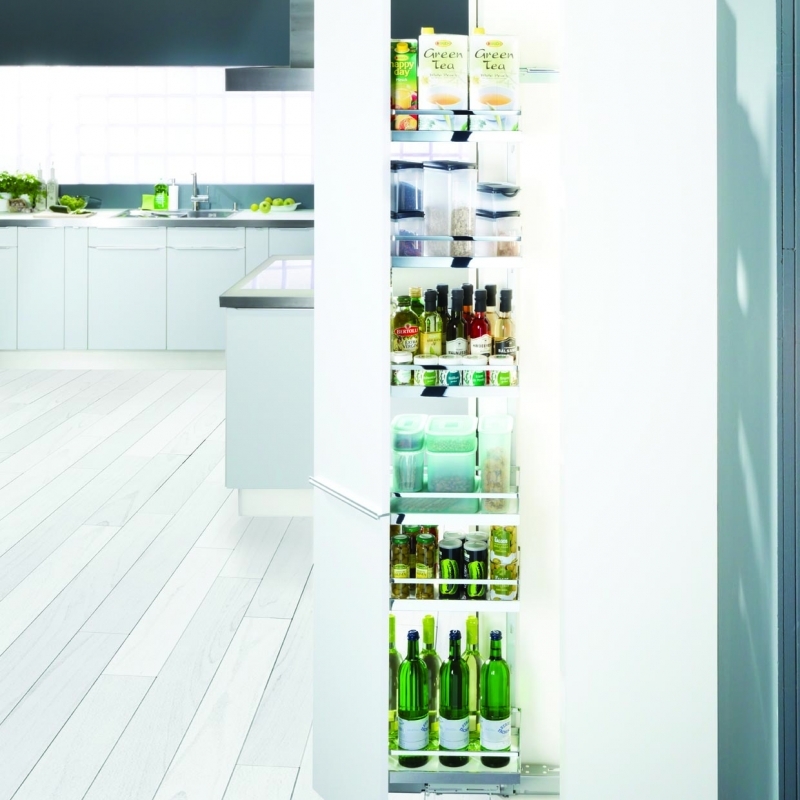 The entire height and width of the unit can be fully utilised. 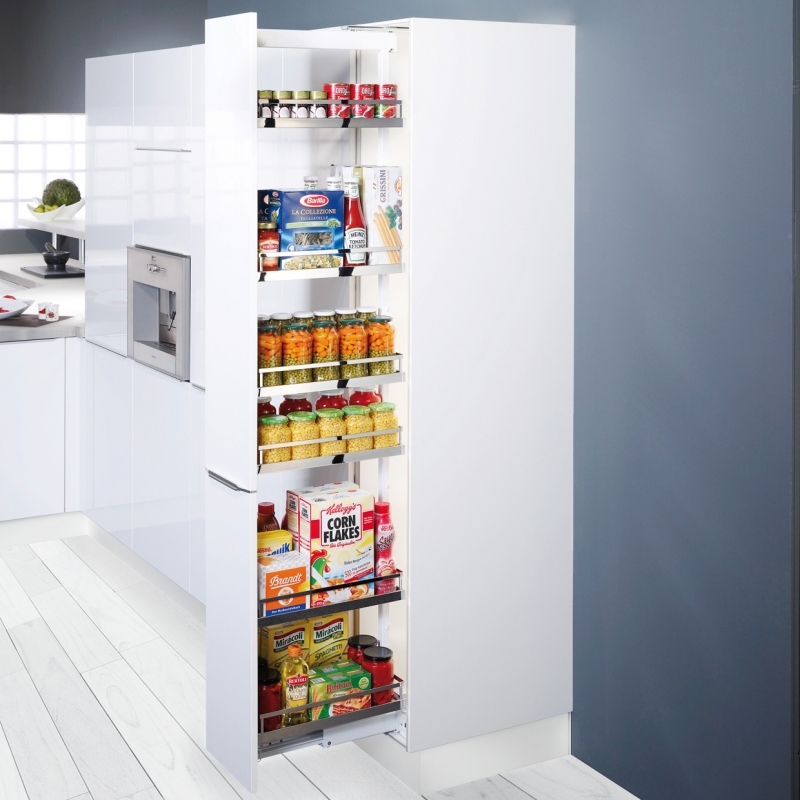 It makes best use of available space, and supports good organisation and fast access. 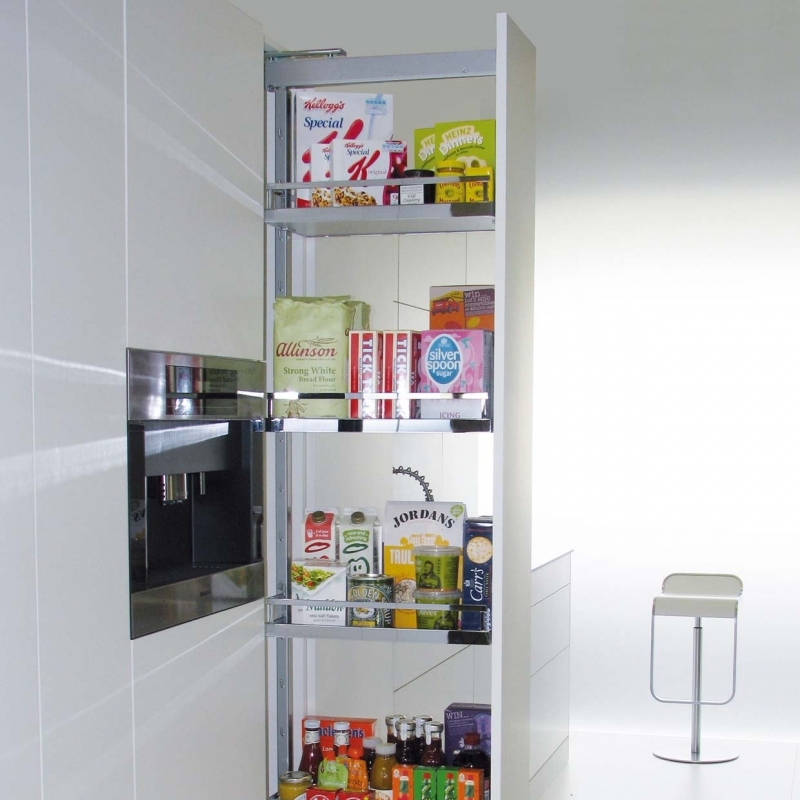 All the contents, even on the topmost shelf, are in clear view – from either side!